Writing this article, I have never had in mind to show an exact development of US markets, but one of the possible scenarios. 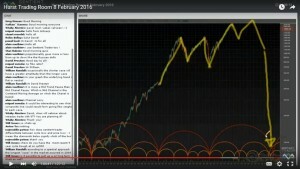 I use Technical Analysis as a tool to screen for risks and opportunities. Instead having thousands of possibilities, I narrow my pool of scenarios to a few of them. After that, I use Qualitative assessment to choose the most likely outcome. Please have in mind that it is only a possibility, not the certainty. 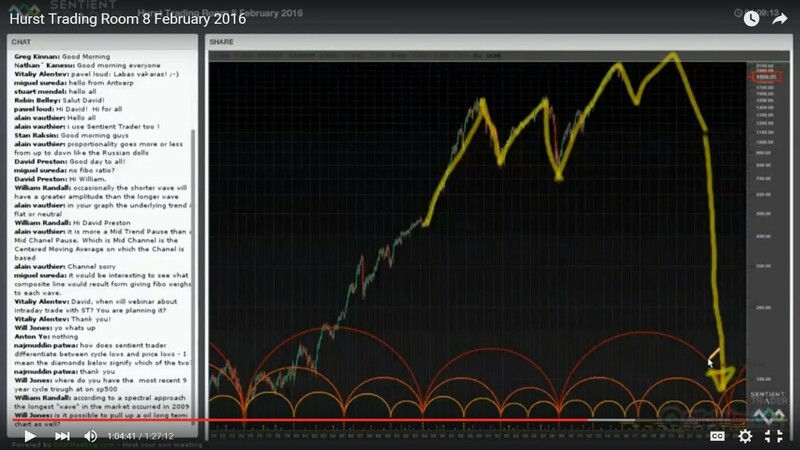 David Hickson in the webinar which he held on the 8 February 2016 explained Middle Channel Pause. My question is how would this picture look if 54 years’ cycle (Kondratiev Wave) was due to bottom? 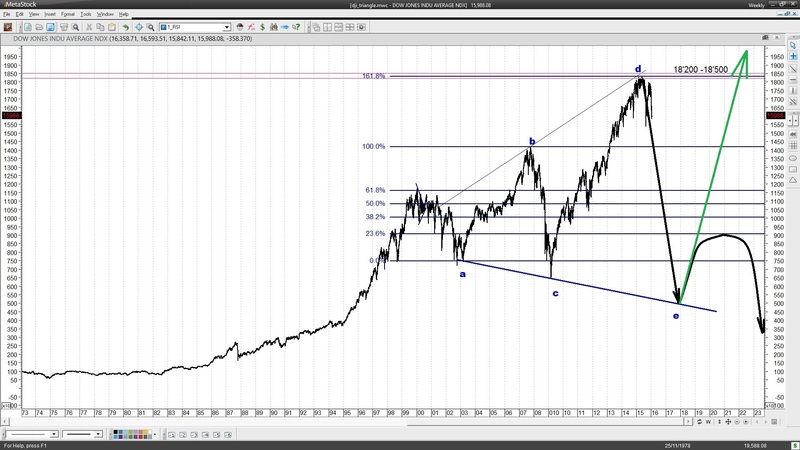 What would happen if there was even longer wave than 54 years cycle due to bottom??? According to Chinese Feng Shui practitioners, the longest cycle observed in nature is 180 years and no surprise that this cycle is set to bottom in 2043. It looks like a long time away, but it cannot be forgotten that cycles are not perfectly symmetrical. That cycle could bottom earlier. 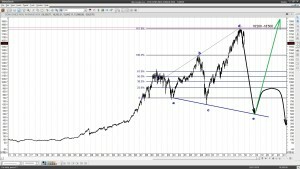 There is strong possibility that, what David highlighted as Middle channel pause, could be upward correction once (Elliot) wave “e” of Dow Jones multiyear Expanding Triangle has completed (Picture below). It would still be a valid “M” Hurst Pattern but severely distorted by bottoming 54 and 180-year cycles. According to my analysis wave “e” should finish in the 4th quarter of 2017. After that, I expect a complex correction which would form the second peak of a Middle Channel Pause “M” pattern and fall towards 100 points. Yes, One Hundred points on SPX. There is a Fundamental Factor which could push SPX all the way to 100 points (or even lower). In 1971, SPX peaked just over 100 points. That was a fundamentally extremely important year. 1971 marks The End of Gold Standard Era. In that year, American Dollar notes ceased to be convertible into gold. It caused Inflation and Credit Expansion. The cycle however came to reverse. Credit supply is contracting, inflation changed to deflation and stock market is set to crash. What if USA Fiat Currency stops to be considered as safe value? Would you accept paper Bolivian Boliviano for the land you sold? But would you accept them if they were silver or gold coins? So what happens if International Trading partners start to demand payments in Gold and Silver? The answer is very simple – One British Pound will be valued a Pound of weight in Gold, exactly as it used to. In all this Doom and Gloom, there is a positive light and an opportunity of the century. Knowing Hurst Cycles, it is possible to forecast what happens to Gold and Silver VALUE.